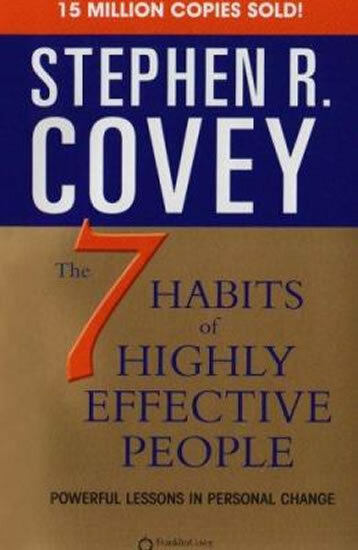 This expanded anniversary audio edition of the perennially bestselling 7 Habits of Highly Effective People includes a new foreword read by Jim Collins, bestselling author of Good to Great; the final interview with Stephen Covey, read by his son, Sean; and a tribute to Stephen Covey, read by his daughter, Cynthia. Twenty-five years, 20 million copies sold?a true book publishing legend! In Stephen R. Covey’s seminal work The 7 Habits of Highly Effective People, a holistic, integrated, principle-centered approach revolutionized the way people solve personal and professional problems and go on to lead extraordinary lives. With penetrating insights and pointed anecdotes, Covey revealed a step-by-step pathway for living with fairness, integrity, service, and human dignity?principles that give us the security to adapt to change, and the wisdom and power to take advantage of the opportunities that change creates. The 7 Habits?Be Proactive; Begin with the End in Mind; Put First Things First; Think Win/Win; Seek First to Understand, Then to Be Understood; Synergize; and Sharpen the Saw?are so famous and have been integrated into everyday thinking by millions and millions of people for one reason: They work. Covey offers life-changing advice on everything from leadership, time management, and teamwork to success, love, and taking control of your life. In taking his advice, you’ll discover how the priceless wisdom of the 7 Habits still holds true after twenty-five years.